Last weekend, I had a wobble about going to Thailand. More precisely, everything in me was yelling that I shouldn’t go. This was less to do with Thailand and what I’ll be doing there, and more to do with leaving Northern Ireland. There are a lot of good reasons to stay here at the minute and it’s hard to leave. I love change but hate transition, which is a tricky combination. So, while I can see life in Thailand being good and exciting and what I want, these last few weeks – full of preparation and goodbyes – are hard. That probably adds to the desire to stay where I am. This has, in hindsight, been building for a few weeks and when I finally gave up on pretending nothing was wrong and talked to God about it, He said something that surprised me. He told me that this is my choice – I don’t have to go to Thailand, I can stay here if I want. He won’t force me to do anything. I guess I always assumed that this was the path God was calling me to so there was no other way. But I know beyond the shadow of a doubt that God loves me and He will be with me and bless me wherever I am, that He can use me for his Kingdom anywhere. So in that sense it doesn’t really matter what I choose – to go to Thailand or to stay here. By Sunday afternoon, if you’d asked me (thankfully no one did), I might have said that I wasn’t sure about moving to Thailand. At that point, I was seriously considering not going. I was feeling a strange, wild freedom at being able to make that choice, if I wanted – set free by the fact that I didn’t have to go. I was also confused and a little overwhelmed. So I went back to church that evening, to refocus on God, to hear the same talk I’d heard in the morning and to respond to the call to come forward for prayer for a fresh touch of the Holy Spirit (which I hadn’t been ready to respond to during the morning service). We had a guest speaker, Darrell Tunningley, sharing his testimony (which, incidentally, is AMAZING – listen to it here http://ow.ly/2Av2Oa). When he invited people to come and receive prayer, I sat in my seat and didn’t move as others made their way to the front of the church, even though I’d mainly come for this. Then he got back up and told a story which he hadn’t told in the morning. He talked about climbing a cliff on a childhood holiday, so that he and his siblings could jump off it into the sea. He said that, at the top, he was so scared to actually jump, even though there was no other way back down. But he did jump, and it was amazing. And I started to cry as the Spirit whispered, ‘this is what’s going on, my love.’ This is the real issue. I feel like I’m about to jump off a cliff. It’s a cliff I deliberately climbed up, excited about the jump into the unknown, into the future of what God has for me. I know I’ll love the journey. I know the jump will be amazing. But now I’ve reached the moment of stepping off the edge and it’s terrifying. The cliff top seems nice and green and grassy and safe. Maybe I could just stay here. And then I heard my Father again, reminding me, of all things, of a cheesy line from Titanic taken completely out of context – ‘you jump, I jump, remember.’ And I saw a picture of two people jumping off a cliff hand in hand. And I thought, I can do this. God is with me and I’m safe with Him. We can jump together. So I spent some time with Him, talking and repenting and believing and choosing. I choose to go to Thailand, not because I have to or because I think God will bless and use me most there, but because I want to and because He’s jumping with me. I still need to process and deal with some of my fears and concerns. I’ve pushed them so far down I barely know what they are. 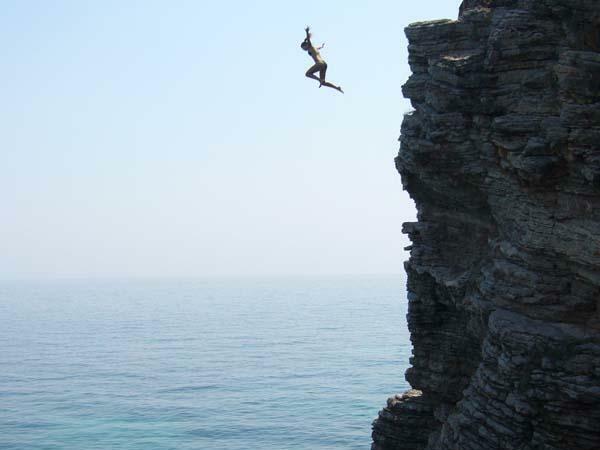 I still feel like this is a cliff jump and I’m still scared. 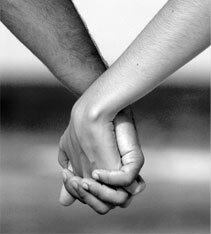 But I’m going to do it, hand in hand with my Saviour, who has never left me for a moment and never will. I sat down with my journal to reflect on the biggest areas of learning and growth for me during the Discipleship Training School (DTS), which finished last week. Turns out there are more than I thought! This has been 6 months of incredible stretching and growth, so I share these areas of learning with you in the hope they might encourage you as you see how God is transforming me. The entire DTS at graduation. Unsurprisingly (given that I’ve spent all my time since January with the same 30ish people), I have had no choice but to grow in how I relate to others. Some of that has been in laying down my rights, preferring others to myself, learning to criticize and judge others less and lift them up in prayer more and some has been in not taking the blame for everything – acknowledging when someone has sinned against me and offering forgiveness instead of denying my hurt. I think I’ve made a little bit of progress in asking for help and addressing issues with others too. I’m learning to love people fiercely, even when I know the close relationship is short-term and the investment feels too costly for the reward – to let people in to my heart without worrying about getting hurt or the inevitable goodbyes, trusting that God will pick up the pieces if necessary. I’m commanded to love, not merely be nice. I’m learning to walk in an attitude of submission to those placed in authority or leadership over me, even when I disagree with them most vehemently. I’m learning to be a better team player, to be less independent. I’m learning to lay down my inclination to lead and to seek to develop people or ministries – sometimes this is just not my place, especially when my involvement in a ministry is very short-term. I have greater insight into what I understand ‘leadership’ to mean and how my definition is not necessarily the same as yours, and that that’s ok. I am becoming more myself, more who God created me to be, without worrying about looking a bit silly or about what people will think. My playful, light-hearted, maybe even goofy side is emerging and I think I’m getting better at having fun, strange as that sounds. This has been a significant release for me. I’ve grown in relating to God as Father and in seeking to encounter his presence every single day, not settling for less and always seeking more. I have again and again been challenged to surrender to Jesus, at a deeper level each time. He is worth laying down everything for. I’ve learnt to walk in God’s grace every day – his grace is always sufficient and his power is made perfect in my weakness, and this has been made very evident to me through all the challenges and difficulties there have been. I’ve learnt to press into God in the tough times more than ever. I’m learning how to deal with frustration, disappointment and unmet expectations. I’ve learnt that sometimes God’s purposes are not what I think they are! I’m beginning to understand the authority I have in Christ. I heard God say that I have a voice. I’m slowly gaining understanding of what this means, but it’s to do with the authority I have when I speak God’s Word, when I pray. I need to use my voice, not letting it be silenced. I’ve grown in my understanding and practice of intercession. Prayer has been a big area of development for me. Spiritual attack has been sometimes obvious and sometimes subtle. Fighting often involves standing on the truth, letting God remind me of the truth, what really happened, not being dictated to by my emotions. It involves pressing in to God regardless, in worship and obedience. (Of course, there are many ways of waging spiritual warfare – these are some I’ve been developing). I’ve learnt that Thailand is my home too. God told me clearly (This is your country now) and when I was in Kolkata, I learntthe emotional truth of it as I became homesick for Thailand! During this DTS, God has given me vision and dreams for the future and has opened the door for me to start to walk out those dreams in Thailand. I’m thrilled both to know the next step and be ready for it. So there you have it – a summary of what has been going on in my heart and head and spirit over the past 6 months. I know it’s quite long, but it really is only a summary. I can’t express how wonderful, faithful, kind, gracious, loving and good God is. I’m so grateful to him and excited to see how he will continue to bring transformation in these areas as well as teaching me new things. To him be all the glory! DTS Outreach… Coming Up Soon! 1-4 April: Outreach preparation/visa runs. 5-9 April: Camp Zoe (leadership camp for teens). 10-16 April: Evangelism at Thai New Year and attendance at a counselling seminar. 18-19 May: Days off in Bangkok. 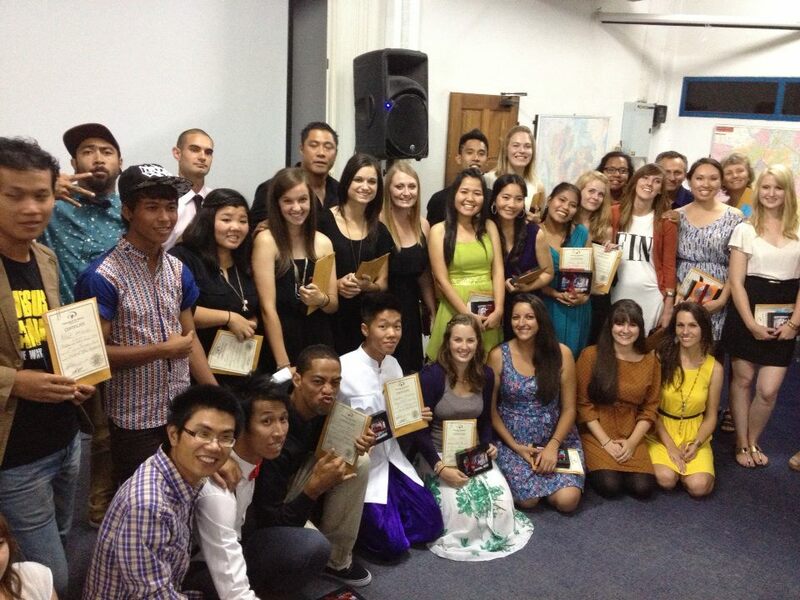 20 May – 8 June: Call2All missions conference and YWAM Asia Pacific conference. Partnering with a local children’s ministry. 8-14 June: Debrief and finishing off back in Bangkok. The outreach costs 70,000 Thai Baht per person, which is almost £1600. I’ve been blessed with the money for this, but there are many on the team who do not yet have adequate finance. As a school, we are doing three things to raise funds. The first is a street party to help with finances, but it’s not exactly handy for most of you! Secondly, on Sunday, many of the students are undertaking a sponsored‘marathon’ – not a literal marathon but an extended effort of their choice. 5 of the Thais are completing a 10km run, a New Zealander is doing 1000 push-ups in 24 hours, an American is doing 24 hours of prayer and worship, and so on. I’m completing a ‘Bible reading marathon’ with some others to raise money for the team. The plan is to go tovarious locations around Bangkok and read Scripture aloud, using it then also to pray. We want to read the whole book of Psalms aloud and some others too (not chosen yet). So if any of you would like to sponsorme to do this, please let me know and I’ll get back to you with how you can do that. Our third way of fundraising is simply communicating the need, which this post is part of. Altogether we still need around 1 million Thai Baht, which is around £22,000, by next Monday. We believe God can and will provide all the money we need to do what he has called us to do and already we’ve seen provision in ways we never expected. I’m asking if you would take time to pray for the people who still need money and also to consider if you are able to help financially. Thank you. We’re so grateful for your prayers and support. This is my story. It’s about following God wherever he may take me. It’s about calling and destiny and purpose, joy and freedom and love. It’s about life in all its fullness. It’s a way to communicate my experiences, my reflections and my dreams.